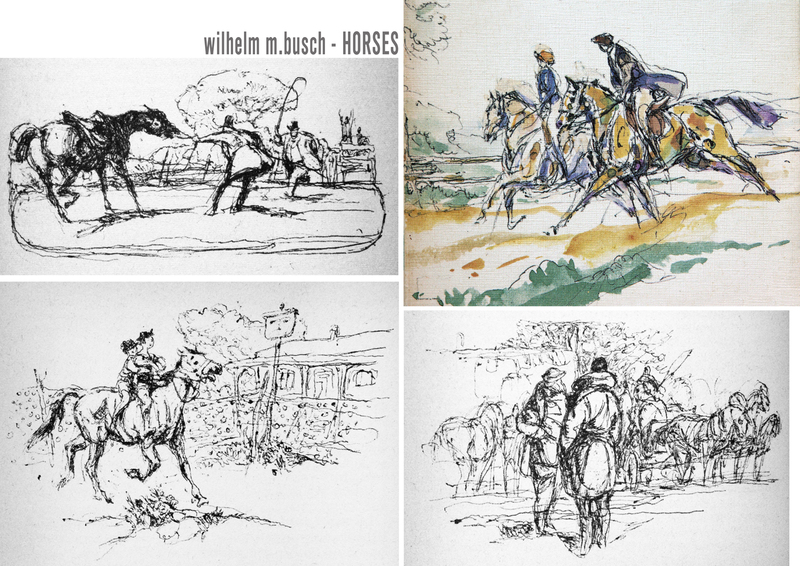 WILHELM M.BUSCH was before WWII and after the war in the early fifties a PRESSE-ZEICHNER, a drawing artist hired by a newspaper to cover events with drawings where no photographs were available. 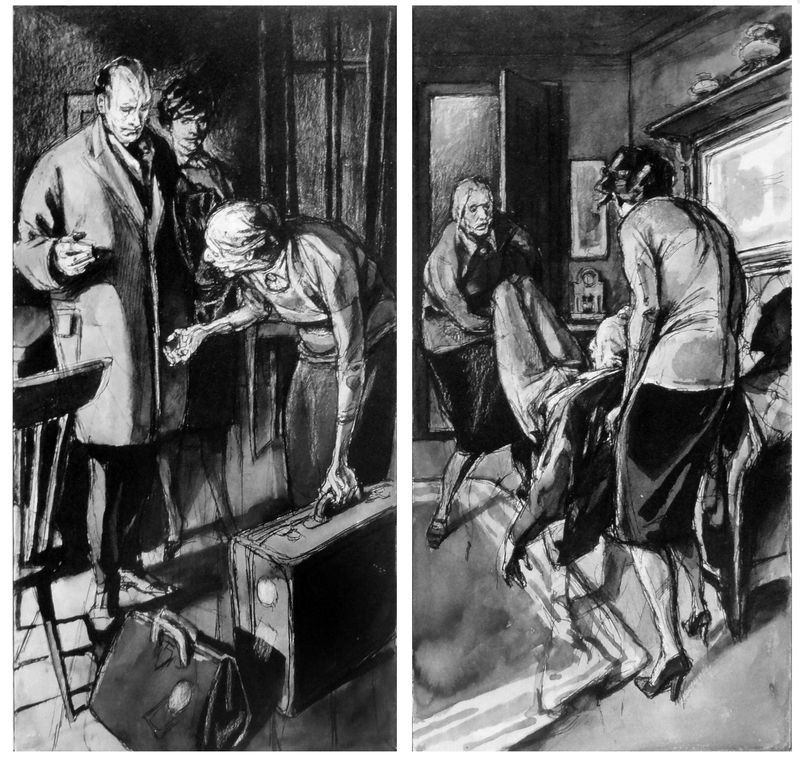 today you still have one job like that left, the courtroom illustrator. 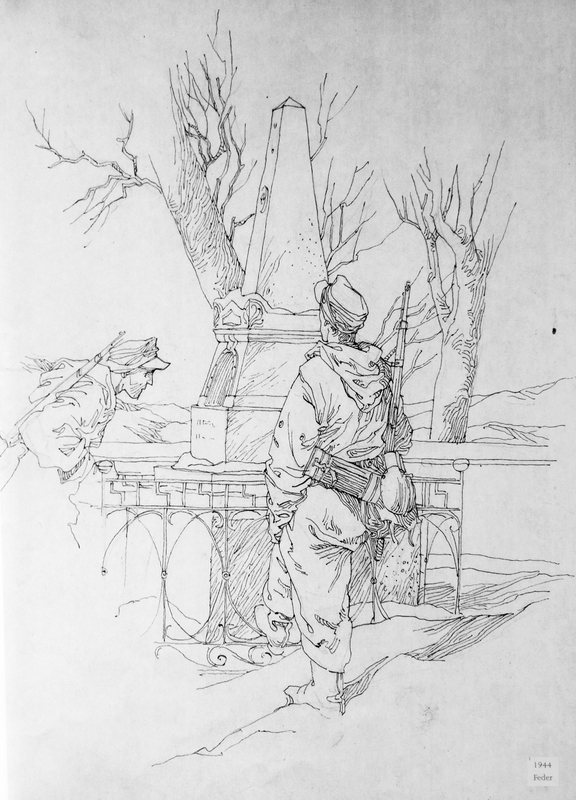 the first 2 illustrations are an example for that, the next is from his time as a soldier in 1944, a pen+ink drawing. 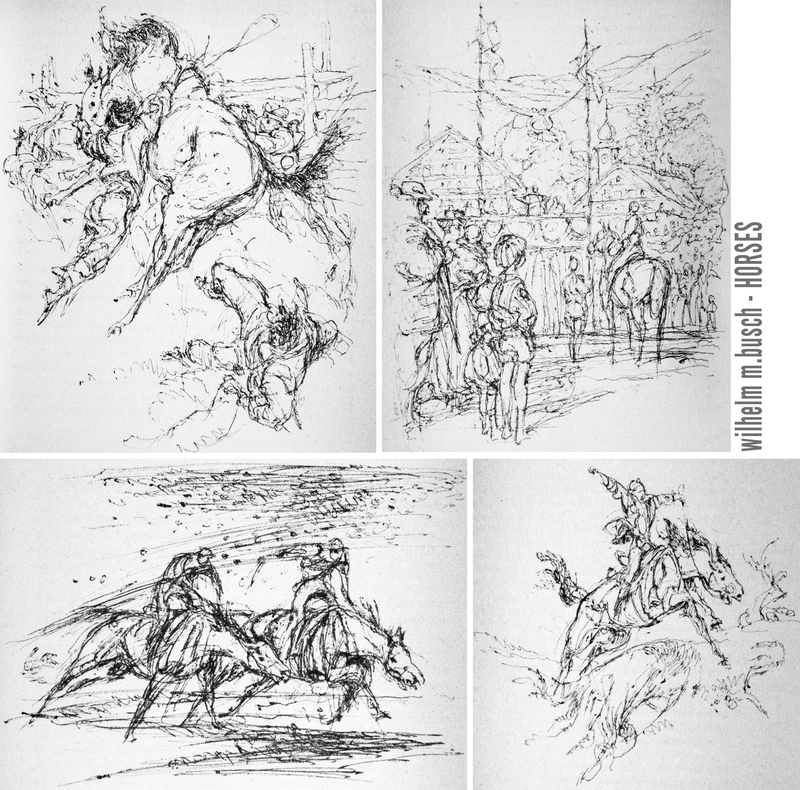 the following 2 are from 1972 and 1979.
someone asked about his technique, well – he probably did some rough outline sketch in pencil or light ballpointpen and drew right on top of that in ink. 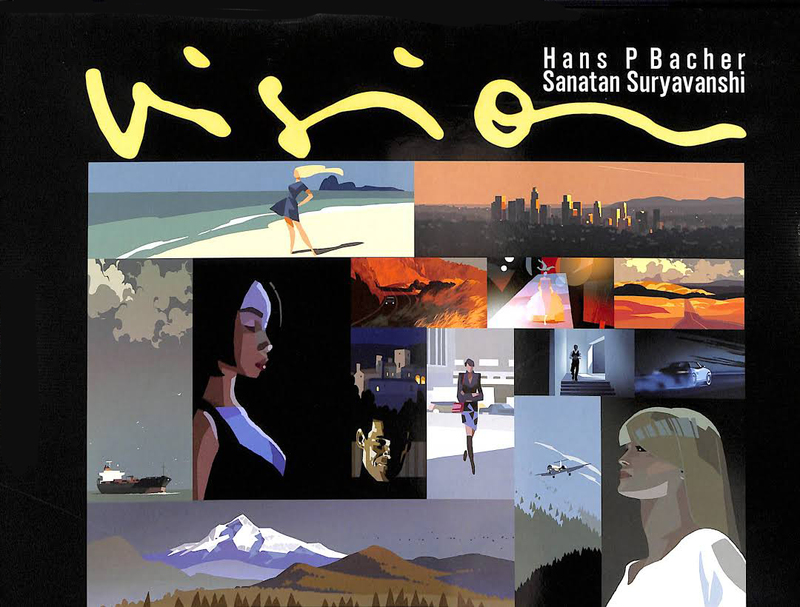 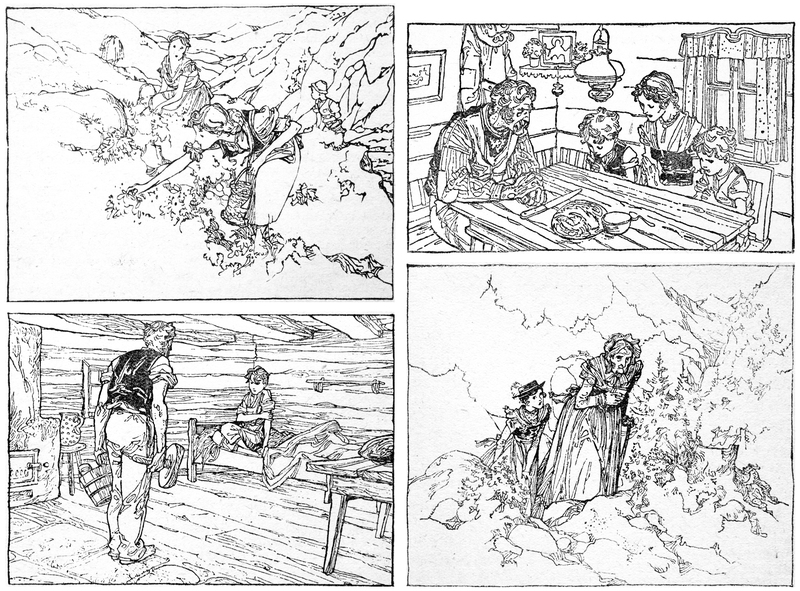 his final illustration is so loose that I can’t imagine he traced a very elaborate sketch. 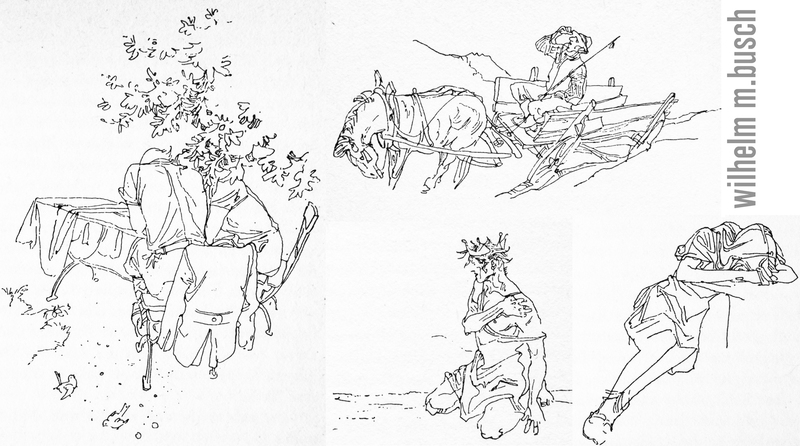 in some cases you can still see the sketchy lines of his rough. 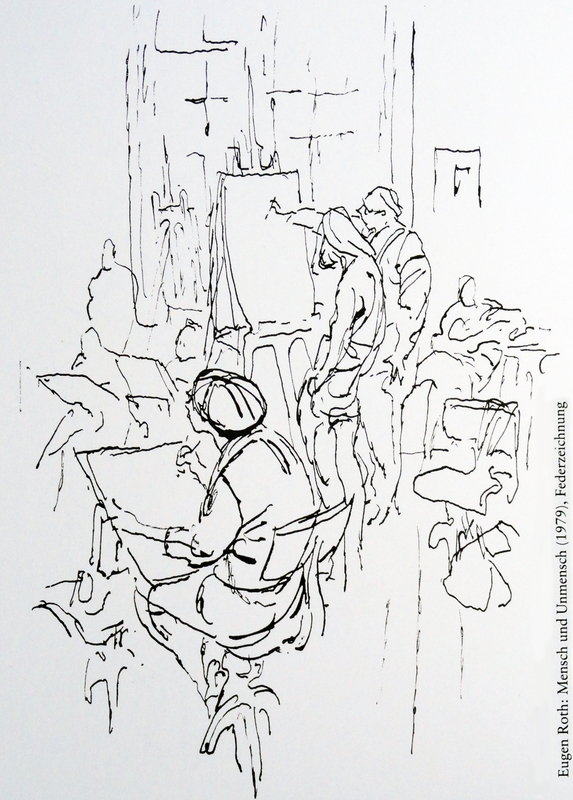 the classroom drawing was just ‘written’ down like that without any sketch, I am sure. 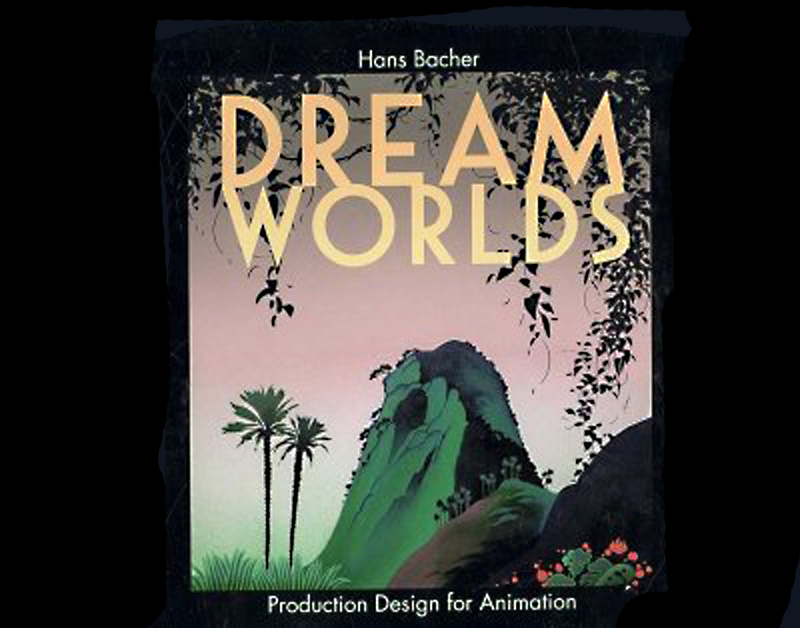 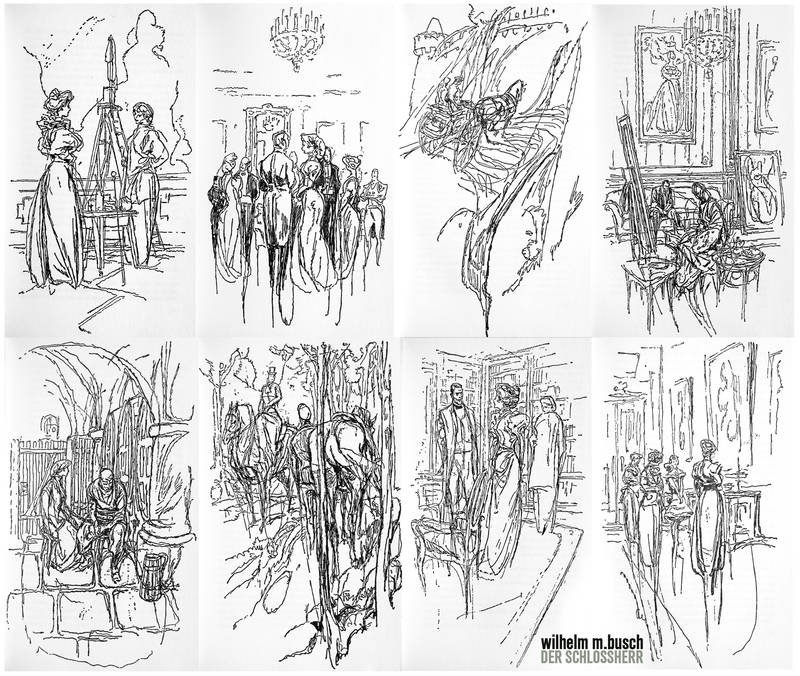 I have a lot more to come form work catalogues where the reproduction quality is much better. 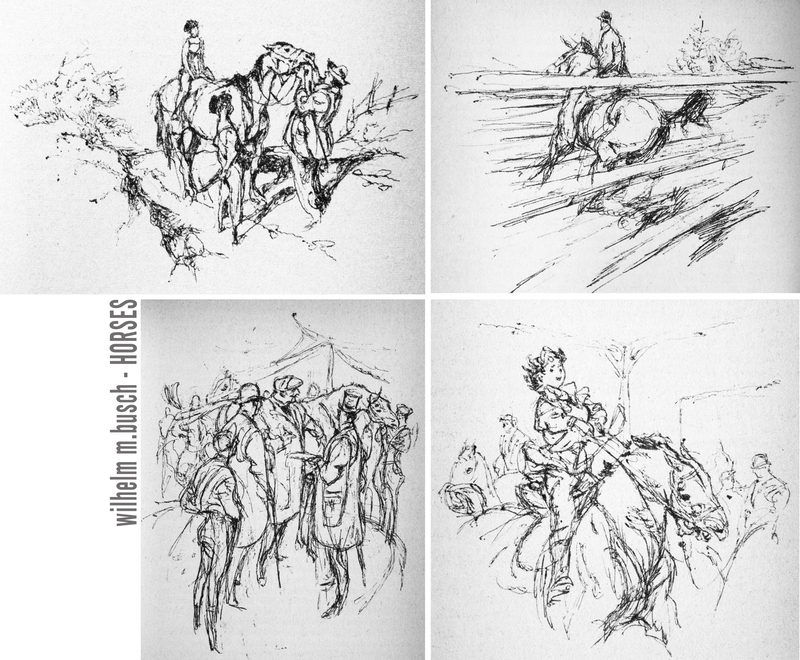 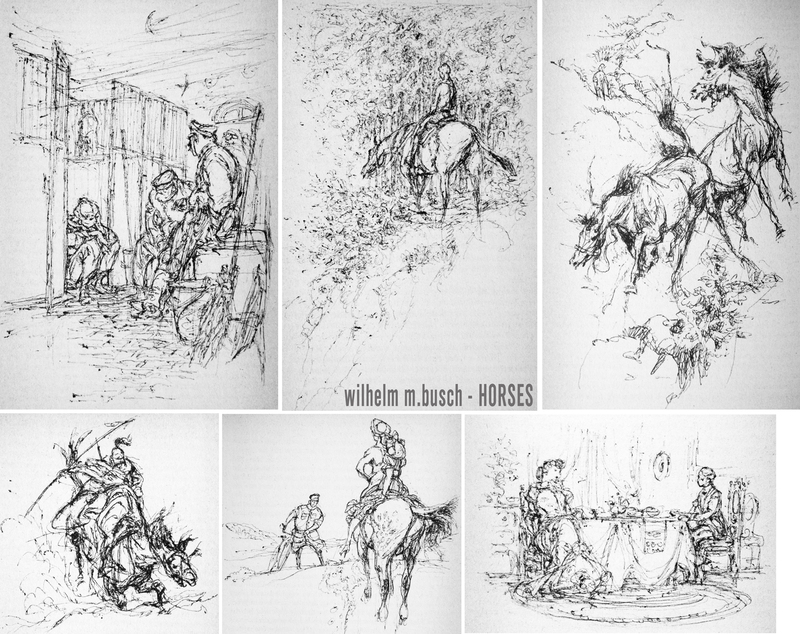 in 1976 WILHELM M.BUSCH illustrated a collection of short stories around horses in a paperback edition of the german wilhelm heyne-verlag, DAS PARADIES DER ERDE ( paradise on earth ). 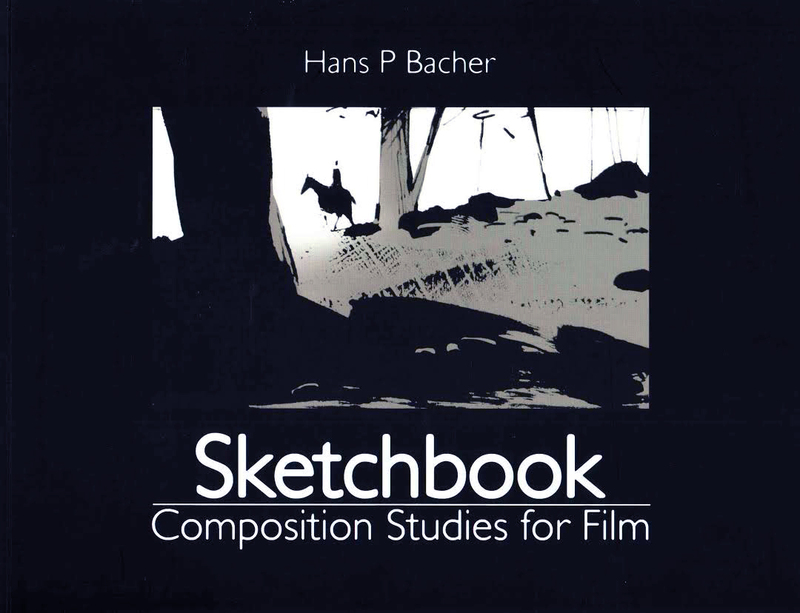 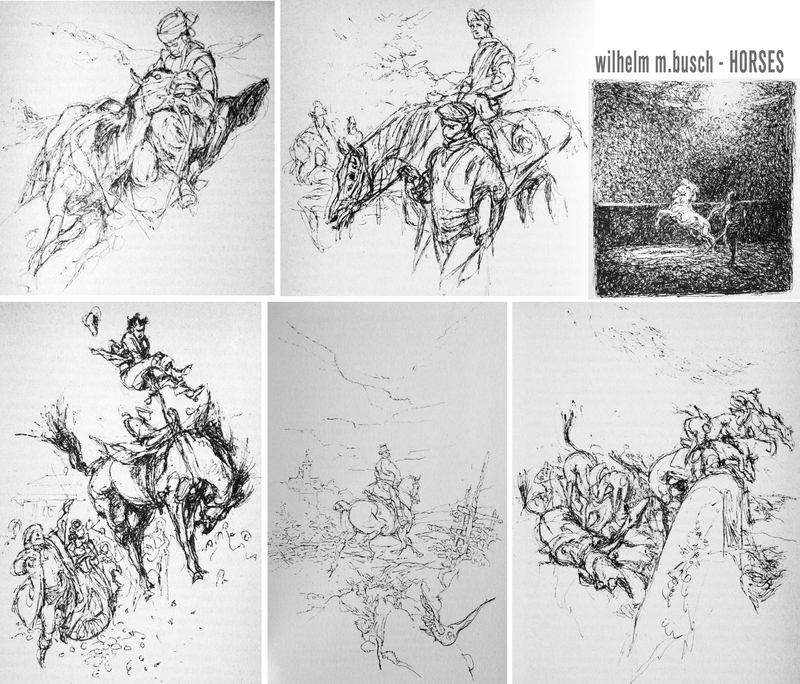 there are dozens of very small printed illustrations in the book, done in pen and ink, ballpoint pen and pencil. 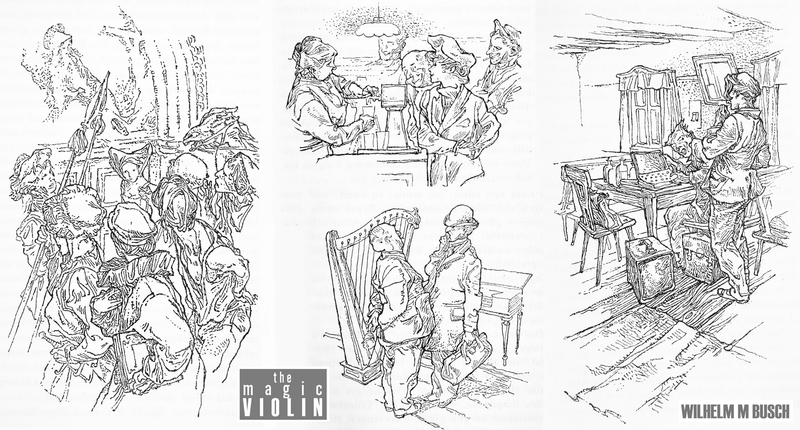 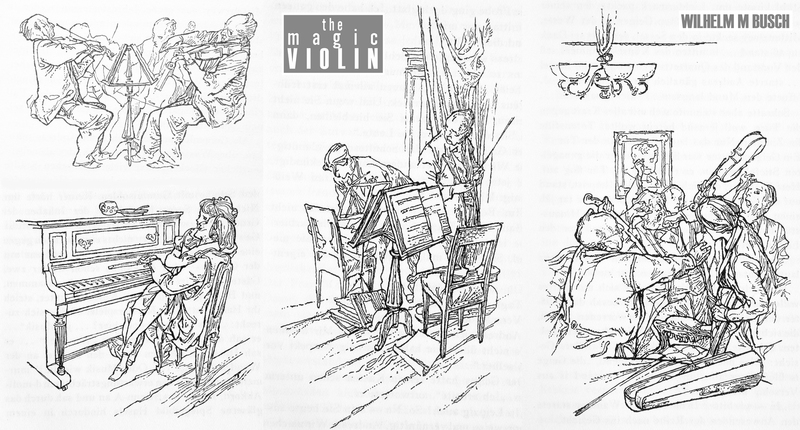 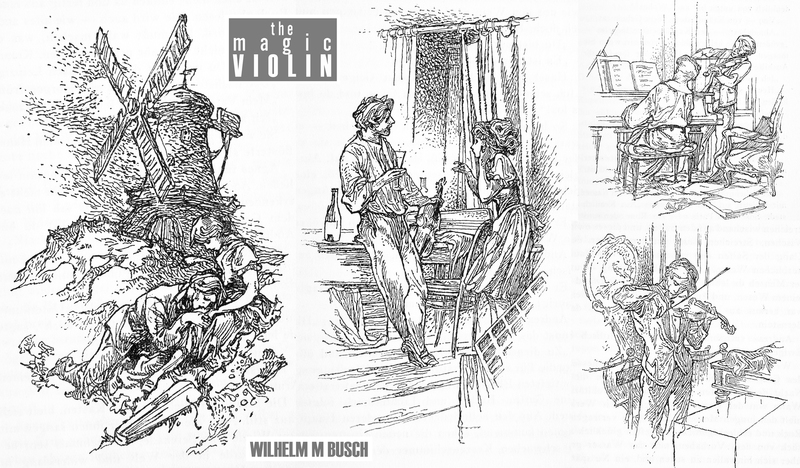 WILHELM M.BUSCH illustrated in 1950 the novel DIE ZAUBERGEIGE – THE MAGIC VIOLIN, written by KURT KLUGE and published by deutsche buchgemeinschaft. 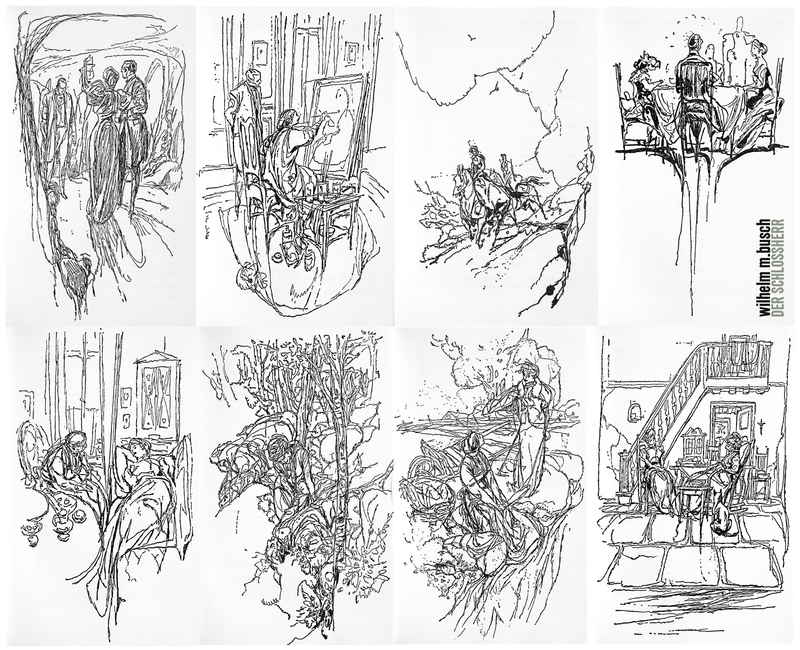 below compilations of most of the beautiful pen and ink illustrations. 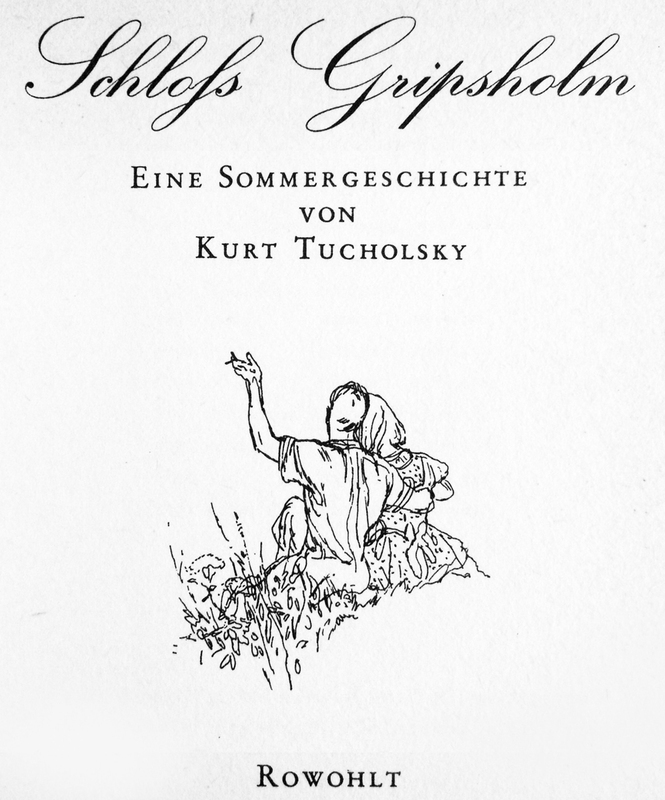 KURT TUCHOLSKY, 1890 – 1935, wrote the multi-layered allegorical lovestory GRIPSHOLM CASTLE ( schloss gripsholm ) in 1931, predicting the rise of national socialism in germany. 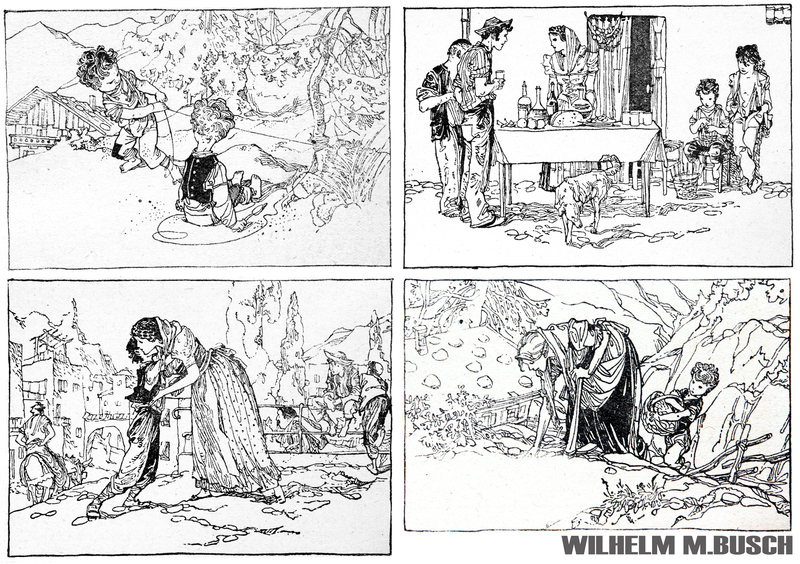 the ERNST ROWOHLT VERLAG published a new edition of the novel in 1964, illustrated by WILHELM M.BUSCH. 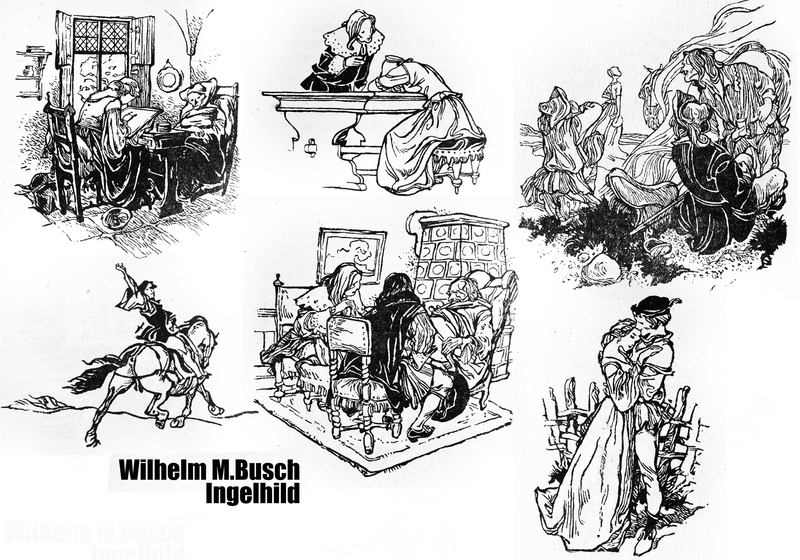 different from most of his illustration work BUSCH created here caricatures, effortless written down in pen and ink. 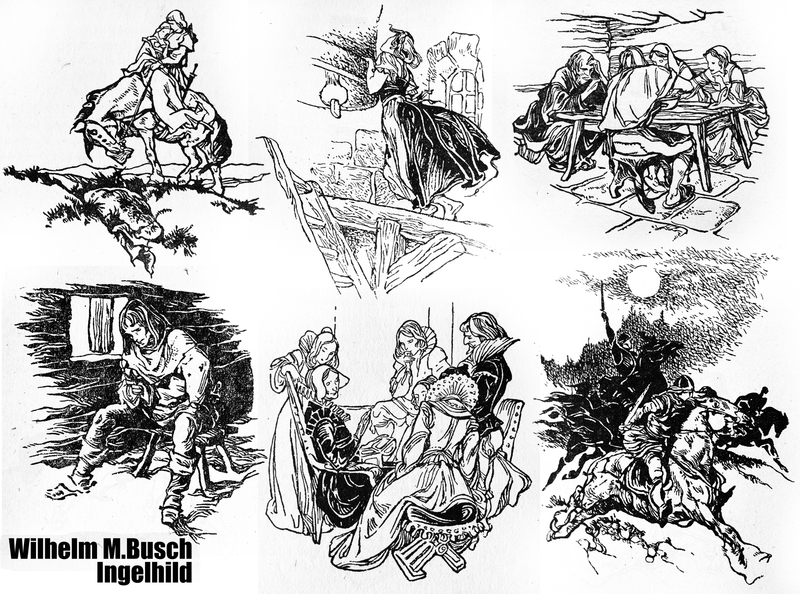 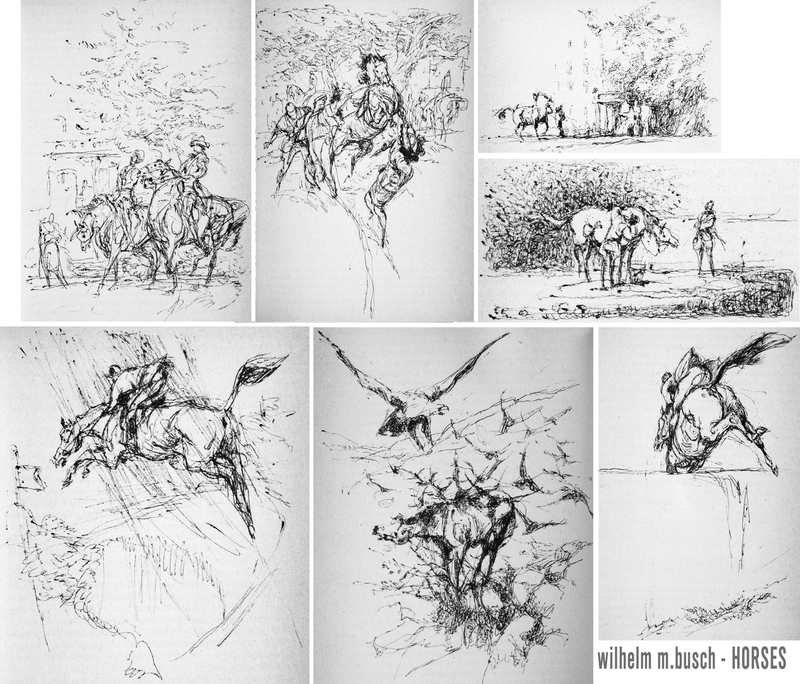 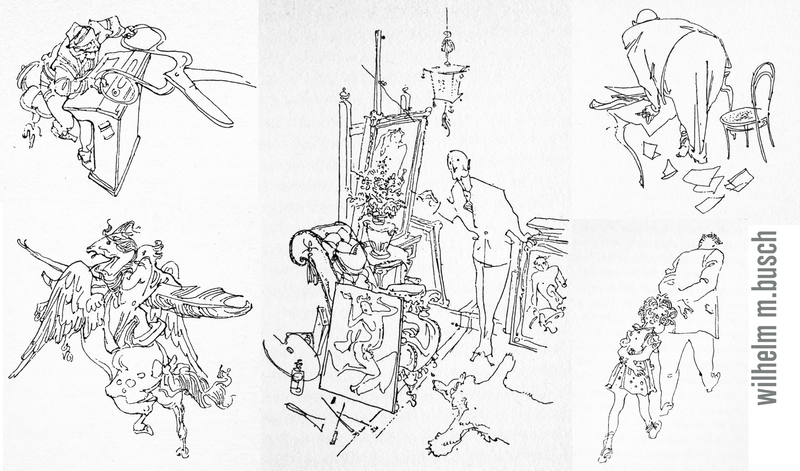 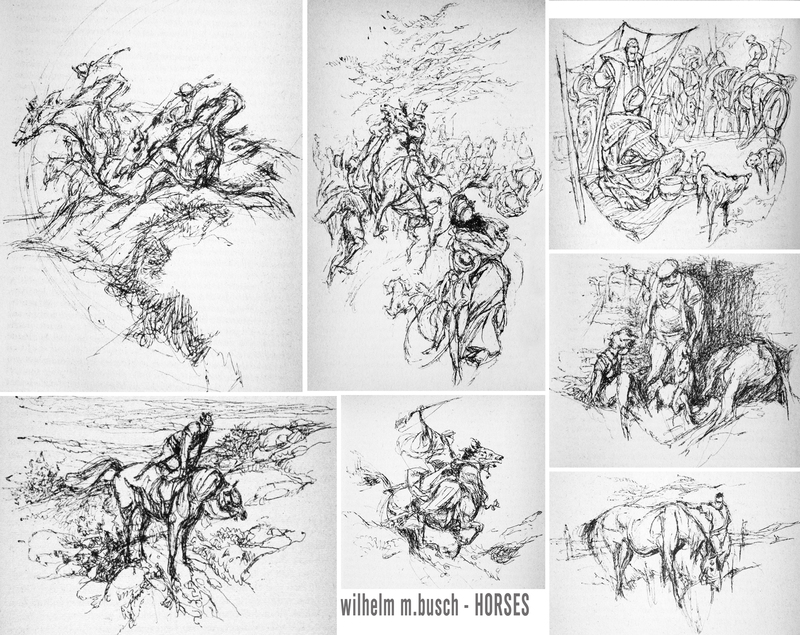 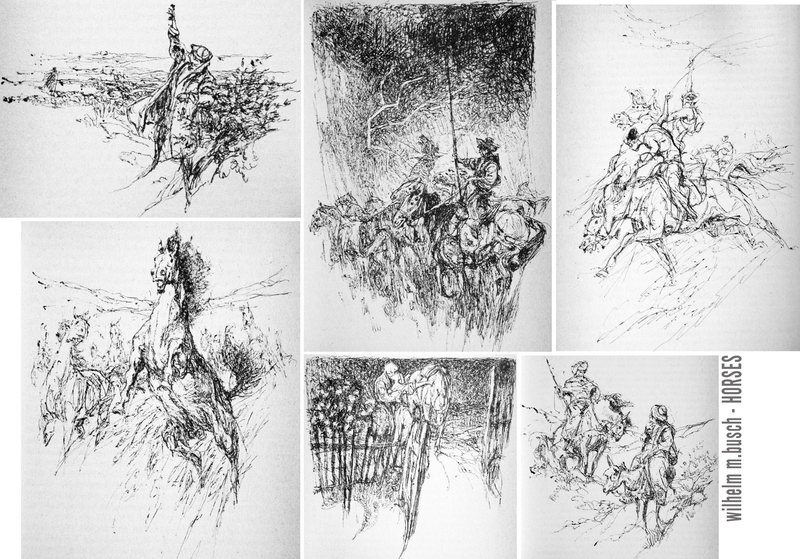 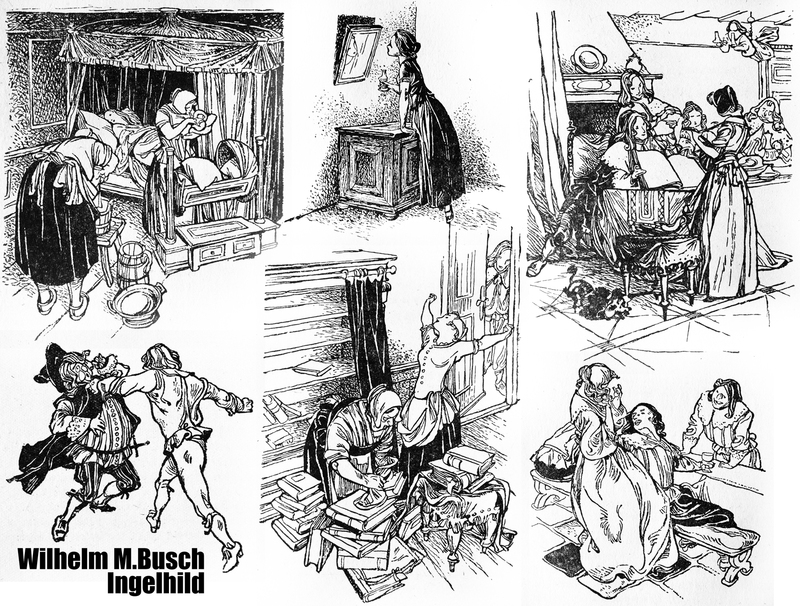 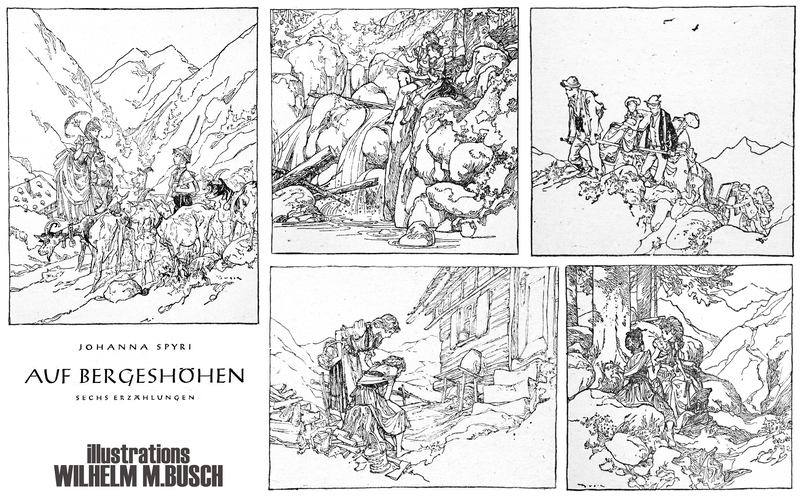 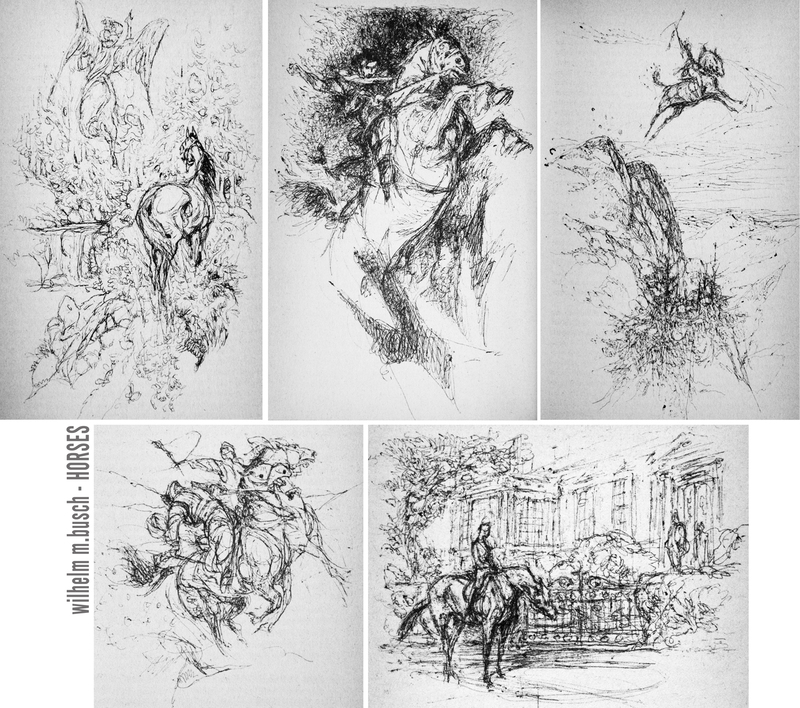 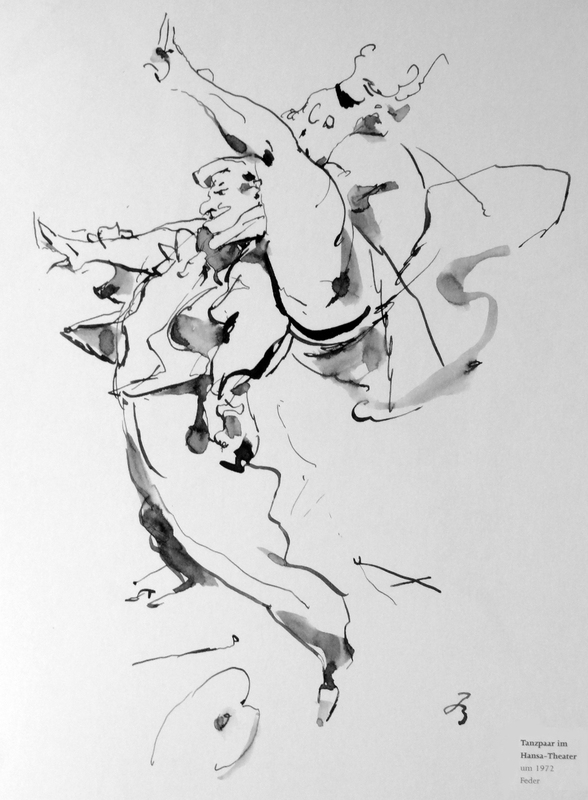 the following pen+ink illustrations were created by WILHELM M.BUSCH in 1969 for the novel THE KING OF THE CASTLES ( DER SCHLOSSHERR ) written by VICTORIA HOLT.